An important part of working in the travel industry is going on an educational trip. 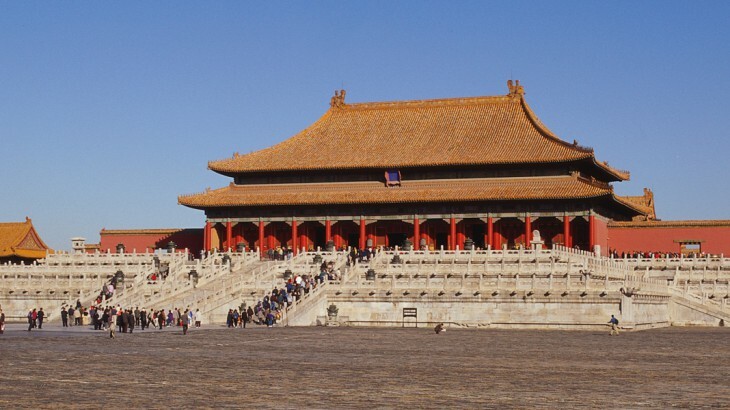 Diogo Castanheira, Business Development Manager for Wendy Wu Tours, experienced our Glories of China tour in November 2013. Below is his written account of his China tour. 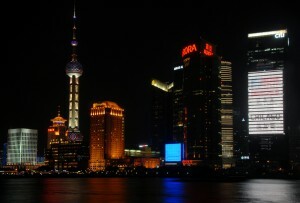 Shanghai was a very surprising city. It really is a very cosmopolitan and vibrant city with something for everyone. From the amazing Yu Gardens to a traditional bazaar area where you can buy anything for a fraction of the prices back in the UK. This really is the city where east meets west and old meets new. From the impressive colonial European architecture and buildings to the most amazing modern tall buildings on the opposite side of the river, you can really immerse yourself into a whole new way of seeing this vibrant yet safe city. The fairly new French quarter really is a place you must visit. A cocktail, an ice cream or a more sophisticated meal are just some of the must do’s around here. You must try and board the Maglev. It will cost you under ten pounds and that’s a very reasonable cost to travel from the city centre to the airport and back in under 16 minutes, wouldn’t you agree? Most would say China is quite dirty and unhygienic. Well, you are in for a surprise as Shanghai is one of the cleanest cities I’ve visited bearing in mind over 23 million people live here. The food quality is very impressive as well as affordable. Around these parts, food is quite sweet but full of flavour. Vegetables have vibrant colours and taste like they used to taste back home 30 years ago. Organic is not part of the Chinese vocabulary as all vegetables are organic regardless of where you purchase them. The next stop is Guilin and I’m very excited to sample new sights and flavours. 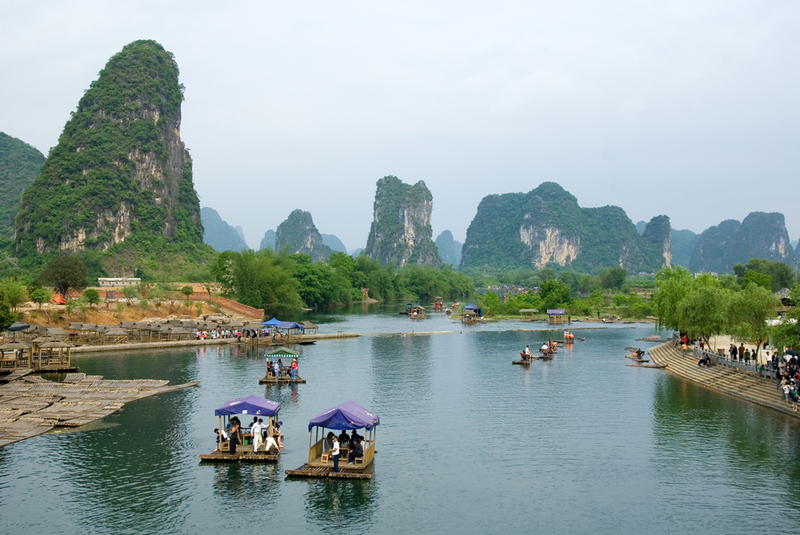 The flight from Shanghai to Guilin lasts just over 2 hours. The inflight catering is very impressive for a short internal flight. A hot meal, drinks and coffee are served on board at no extra cost and always with a smile. We arrived in Guilin and what a surprise, this city is much bigger than I was expecting! It’s a very vibrant city with lots to choose from in terms of good food and shopping. The Universal hotel where we’re staying is right in the centre of the city and within walking distance from the main pedestrian area. One of the very few streets where you are unlikely to be ran over by one of the millions of scooters whizzing around the city. I have an amazing view of the Li River and am very close to the port from where cormorant fishing tours depart. Although it is raining, the temperature is quite mild and we manage to board the boat that allows us to see, up close, the traditional fishing with cormorants. This trip only lasts about half an hour and can only be done at night. Fish do not see cormorants on the surface of the water at night which makes for more successful fishing. Make sure you have a good camera for this part of the trip! The food in Guilin is different from Shanghai and the locals love their Guilin noodles. I also became a fan of these and even had them for breakfast. The following morning we board the boat that is taking us on a 4 hour journey from Guilin to Yangshuo. The scenery is breath-taking and although it is raining, our guide Carly tells us this is when the river and mountains are at their most beautiful stage. She was so right. The mist over the mountains and the small local boats going up and down the river seem like something out of a movie scene. There are other groups on board so it’s great to hear about their adventures too. We arrive in Yangshuo just after 13:00. What an amazing place. Full of character, small shops, cafes and great shopping all framed by the lovely green mountains around it. One of the ladies in our group managed to buy a North Face ski coat for around 20 pounds. She was very good at haggling with the shop keeper and got it down to twenty from almost forty. It’s not the real thing but you wouldn’t know unless you were an expert. We drive back to Guilin which takes us an hour and a half for a quick rest and out for dinner again. What an amazing experience I had in Guilin and Yangshuo. Next we are on board Southern China airlines to Xian. Again, great service and comfortable seats with plenty of leg room. I’m also amazed that amongst traffic, noise and general organised chaos, everything works like clockwork and on this Wendy Wu tour, flights and meals have been spot on and at the predicted time on the itinerary. Xian is a remarkable and bustling city. When Sam our guide told us this would be a small city, we all automatically thought of a few thousand inhabitants but how wrong were we? Xian is home to almost 9 million inhabitants and it is an amazing eye opener. We are taken immediately to a great buffet lunch inside an amazing building that houses a theatre. Great choice of food and some home made on the spot noodles caught my eye and couldn’t resist trying these. Highly recommend them. After a lovely lunch we are taken to the museum where the very first Terracotta warriors that were found are on display. This museum really encompasses the way that pottery, painting, religion, and clothing has developed throughout the centuries. 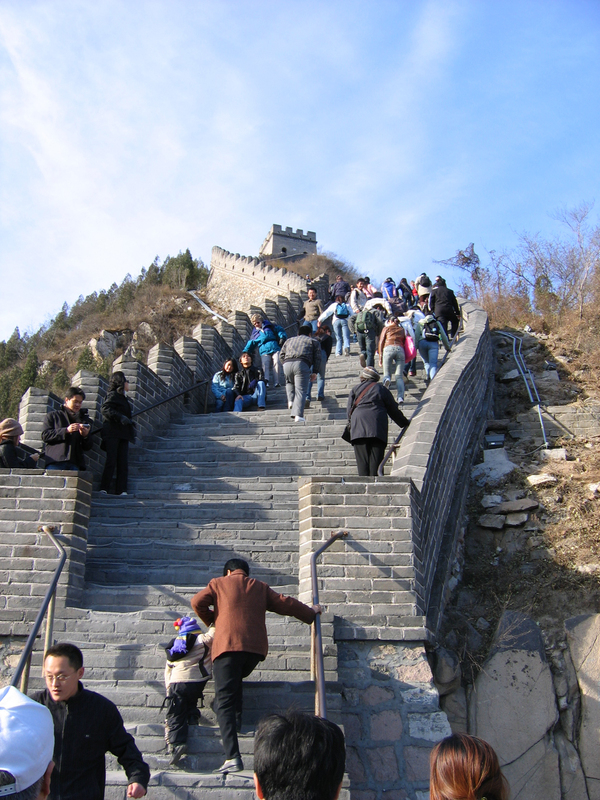 No visit to Xian is complete without a visit to the best preserved city walls in the world. The city walls are in the shape of a rectangle and you can ride a bicycle, run or just have a leisurely walk along it. We chose bicycles and some even ventured into the tandem bicycles. We were so lucky with the timing that we even managed to see the changing of the guard in the main entrance of the walls. Rather tired after an amazing day, we get back to the comfort of our hotel and later have another fantastic meal in a local restaurant. 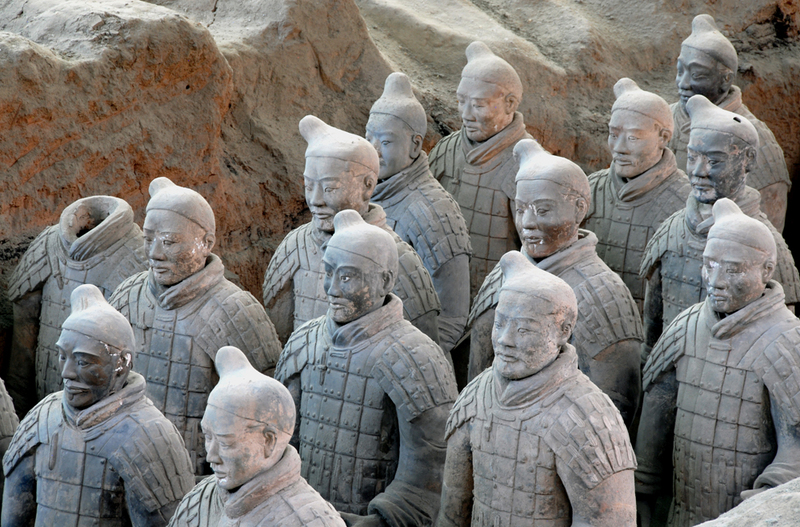 The following morning we are very excited as we are being taken to see the most amazing discovery of the 20th century: The Terracotta Warriors. My camera is fuming from all the photos I take here. It is breathtaking and you can’t help but feel in awe of this massive megalomaniac feat in history. We spend a few hours here and are taken to a very simple lunch in a nearby restaurant. This afternoon we visit the Muslim quarter in Xian. What a world apart this is. How weird and wonderful it is to see Chinese looking people wearing turbans and Muslim clothing as well as cooking Muslim food. The bazaar here is full of weird and wonderful things to eat and the odd character sat looking at the world go by. Amongst the ladies in the group, this was a great stop and bags, electronic stuff and other rich pickings were bought for a fraction of the price back in the UK. So much so that 7 of our group asked to be dropped off at the same spot after dinner so the shopping could continue! Tired and puzzled with how can we fit all this shopping in our bags, we depart the following day to our final destination: Beijing, or as it was once known, Peking. We expect great things from Beijing and we are excited to arrive here. A bigger city than Shanghai but with almost half the population which is hard to believe. Beijing welcomed us very well, although it is a lot cooler than further south, the crisp colder air makes us feel almost at home. What can I say about Beijing? The Temple of Heaven, the Summer Palace, Tiananmen Square and the Forbidden City, the fakes market, the amazing shows and food on offer, these are all highlights which in my view are all worth mentioning but… The biggest one of all, not only in size but also importance and impact… is of course the Great Wall of China. It is said here that until you have climbed the wall, you will never be a man or a woman. We are all children until we have climbed this wall. And although today I’m feeling a bit under the weather, I managed to push myself to become a man. What a place, what an inspiration and how much it dawned on me that we are all very tiny in this world of great and wonderful things still to visit and experience. Thank you China, thank you Wendy Wu Tours and thank you especially to my travel companions and our beloved guides. An experience I will cherish forever. Book an escorted China holiday with the UK’s leading China Experts, Wendy Wu Tours. 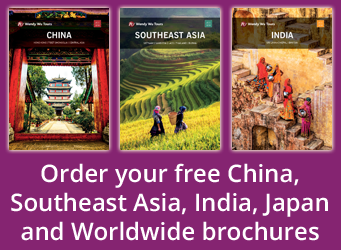 Our award winning escorted, fully inclusive tours visit all the major sights of China for an unforgettable holiday.